A blast from the 70's. 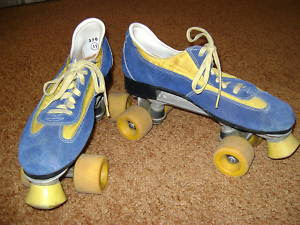 These remind of the skates that Chevy Chase was wearing on the beach in Fletch. Purchased at a Thrift store for $3 and sold for $45.